There are many differences between new-construction and resale housing, but few, if any, will impact buyers as much as those that have to do with financing their purchase. From transfer taxes adding to closing costs to development delays that can interfere with locking in a mortgage rate, here are five ways buying a new home differs from purchasing a resale property, along with advice on what you can do to prepare. Typically, when you lock in an interest rate with a bank, you’ve got 60 days to close the deal (though a few lenders that specialize in new development, such as Citizens Bank, offer extended rate locks up to 18 months). When buying a home in a new development, the rate lock — especially a shorter one — can become an issue. Say you’re buying off a plan, and the developer estimates construction will be finished in October 2017, a year away. Then, that date comes around and the home still isn’t move-in ready; it won’t be until February 2018, but you only locked in your rate until October, and rate-lock extensions can get expensive. That’s a position you don’t want to find yourself in. Fortunately, there are ways to avoid this scenario. If you’re going with a longer rate lock, make sure you secure a rate for three to six months past what the builder has estimated as a completion date. A rough winter, for example, might slow construction, and you need to be prepared for something like that happening. On the other hand, if you’re going with a shorter-term arrangement, let the rate float, and wait until you get your 30-day notice to close before locking in. While it varies from county to county, in New York the developer has to tell the buyer about a month before it expects closings to occur. Although there’s no legal obligation for the seller to actually close on that date, it provides the best idea possible of when they might. With this approach, you’ll still have a one-month buffer should your closing get held up. Tax abatements are unique to the new-construction market. Here’s how they work: Let’s say Hartford wants to lure more residents to the city. The municipality might offer a tax break to developers to build condos and they in turn can pass this on to buyers to motivate them to move there. This is an abatement. But at the time of closing, the tax abatements — which can lead to a few hundred dollars in savings to up to tens of thousand on a luxury penthouse — aren’t typically in place. There is often a lag of six to nine months following the first closings, after which point the abatements are doled out retroactively. New-home buyers need to be aware of this when in the mortgage-approval process because it means they’ll have to use the unabated amount for stress testing. To qualify for a mortgage, you have to fall within a certain debt-to-income ratio (that’s monthly income divided by debt), which is the basis of the stress test. Usually banks will allow a ratio as high as 43 to 45 per cent, although Citizens is one of a few lenders that allows a ratio up to 50 per cent on especially large loans (this is done on an exception basis). Without the abatement, your mortgage payments (debt) might push you above that threshold. In this case, supposing you can’t raise funds for a larger down payment, you’ll need to wait until the abatement kicks in. Of course, the risk with this approach is that the project sells out first. 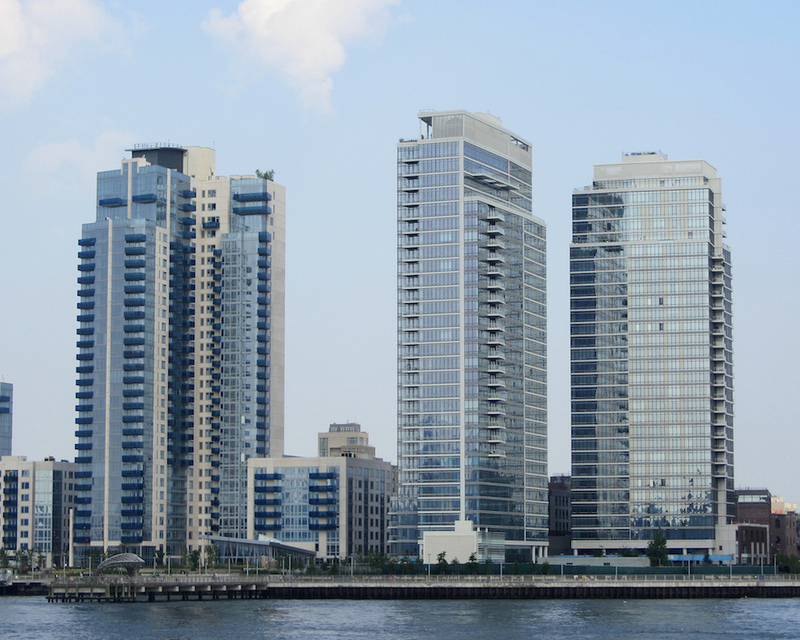 Transfer taxes create a difference in closing costs between new and resale homes in New York. In a resale transaction, the seller pays this tax. However, in a new development, buyers can be forced to absorb some of the seller’s closing costs, including — but not limited to — city and state transfer taxes of approximately 2 per cent. That can work out to a lot of money. On a $2 million condo, that’s $40,000, and definitely something buyers should prepare for. When you buy in the resale market, you get an appraisal done, the results come back and that’s it. In a new development, it’s different. Lots of times the final touches — like installing appliances, for instance — on a new home aren’t done until a week before closing. However, an inspector can’t complete the appraisal until the unit is actually finished, so you have to be mindful of the timing. There’s a risk that the final inspection isn’t done by the closing date, which will delay the process. Generally, when you’re buying on the resale market, the seller doesn’t have a preferred lender. However, most developers choose a preferred lender for their buyers. There are a number of reasons I’d recommend going with preferred lenders. For starters, they’ve pre-approved the building. But there are also issues that can come up that regular lenders aren’t prepared for, or situations they handle differently that won’t work out in your favor. For instance, some lenders won’t close with a temporary certificate of occupancy in lieu of a full certificate. Others may not close if the amenity spaces aren’t complete (and these common areas are usually the final elements builders finish). There’s also the chance that they follow stricter Fannie Mae guidelines and won’t close until 50 per cent of the project’s units are in contract. Then there are the rates themselves. Usually an institution won’t get selected as a preferred lender if their rates aren’t competitive, meaning you’ll likely save money going with them. Rolan Shnayder is mortgage banker at Citizens Bank. Buyers or developers who have further questions or are seeking pre-approval on a loan can reach him at 212 857 6686 or rolan.shnayder@citizensbank.com.